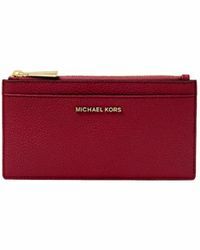 Michael Kors is considered one of America's leading designers of luxury sportswear and apparel. 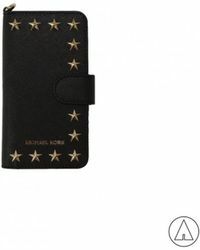 Having launched his eponymous womenswear label in 1981, Kors has since built an impressive following and is famed for his luxuriously chic signature aesthetic. 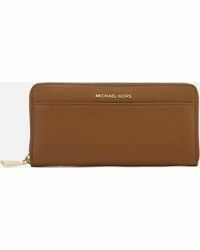 The brand's products can now be found all-over the world through the Michael Kors, KORS Michael Kors and MICHAEL Michael Kors labels. 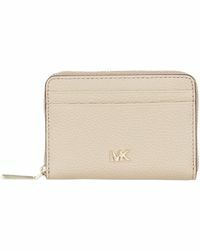 MICHAEL by Michael Kors wallets are sleek and elegant with contemporary gold hardware and the company's logo emblazoned across the front. Choose from snakeskin patterned leather, camouflage print or bright block colours to suit your personal style.